We greatly appreciate the Vodafone Company of the Olomouc Region in 2018 award, which we received from the jury during the gala evening on Wednesday, October 10, 2018. 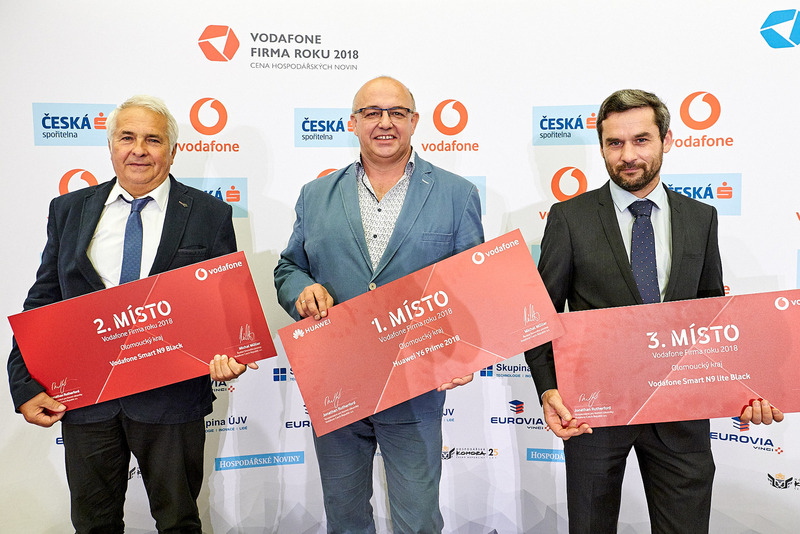 Congratulations to the other finalists and we look forward to the national round of the competition, which will be held on November 7, 2018, in Prague. Wish us luck! 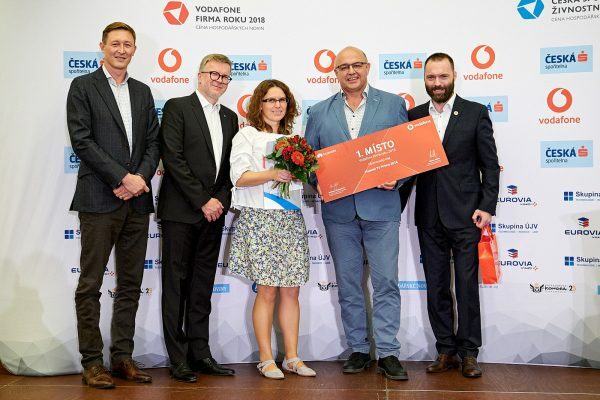 The OLTIS Group, which focuses on the integration of information systems, has attracted a professional jury among the strong competition of registered companies. It operates on the information and communication technologies market as an integrator of information systems supporting all rail transport processes and segments, from data bases and code lists through software support to traffic management, freight transport and passenger transport. It is the developer of a number of extensive information systems for the management of rail transport with a wide range of activities and links to the European transport network. Moreover, it also participates in the proposal, development and testing of information standards in the field of rail transport. “Our approach to each client is based on a solid team of specialists, who are able to identify and analyze the individual demand of clients in order to design and implement solutions based on their preferences and needs. The goal of all our employees is to ensure a continuous cooperation with customers and to respond flexibly to their requirements.“ Miroslav Fukan, Executive Director. The Company of the Year competition, with its all-branch and regional influence, is one of the biggest entrepreneurial competitions in the country. By well-defined rules, the competition upholds maximum objectivity of assessing the contestants, and it creates a truly unique mutual comparison of participants in individual regions and throughout the Czech Republic. 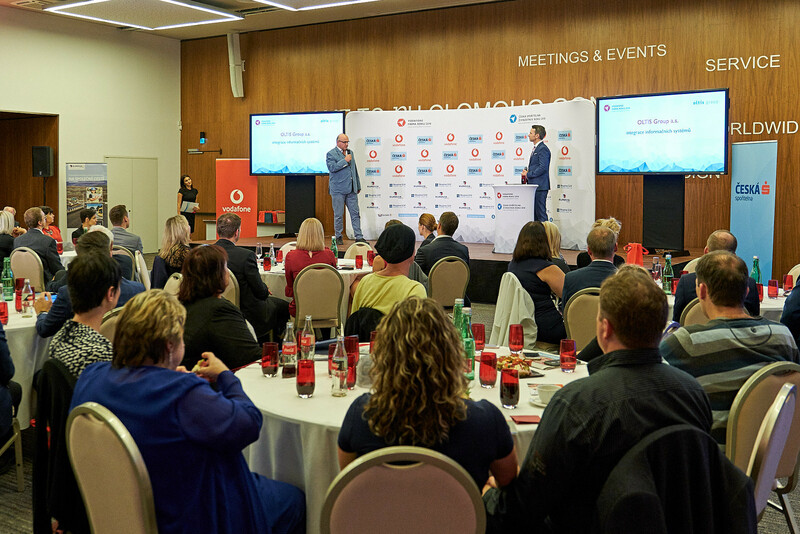 There are 14 winners from each region which proceed to the national final of Company of the Year 2018.The winner of the final round is chosen by a national jury, where the winning companies from all regions present themselves in front of an expert jury. In this final round, it is all about the abilities and capabilities of the presenting companies, whether the companies can find their way in a competitive environment. Furthermore, it is also about how ambitious their entrepreneurial plans are, and how real their plans are to contribute to the development of their surroundings. « THE PROJECT IT2RAIL OBTAINED THE ‘SHIFT2RAIL RESEARCH & INNOVATION AWARD 2018’FOR THE ‘DIGITALISATION’ CATEGORY!